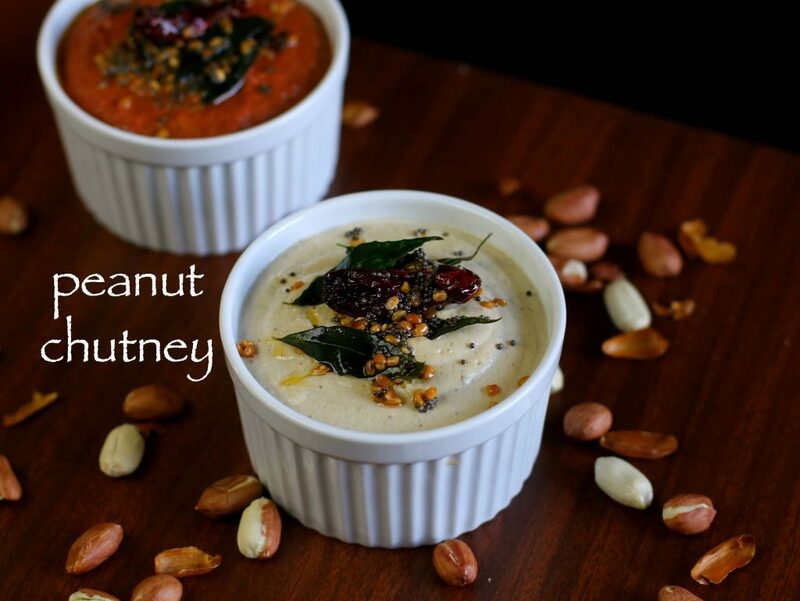 peanut chutney recipe | groundnut chutney recipe | shenga chutney with detailed photo and video recipe. 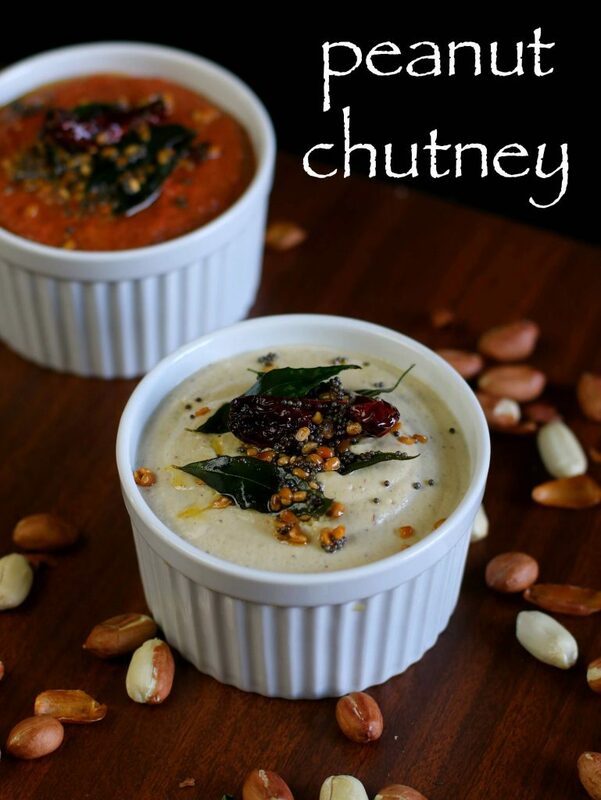 a simple mild and nut based chutney side dish which can be served for breakfast items like dosa and idli. 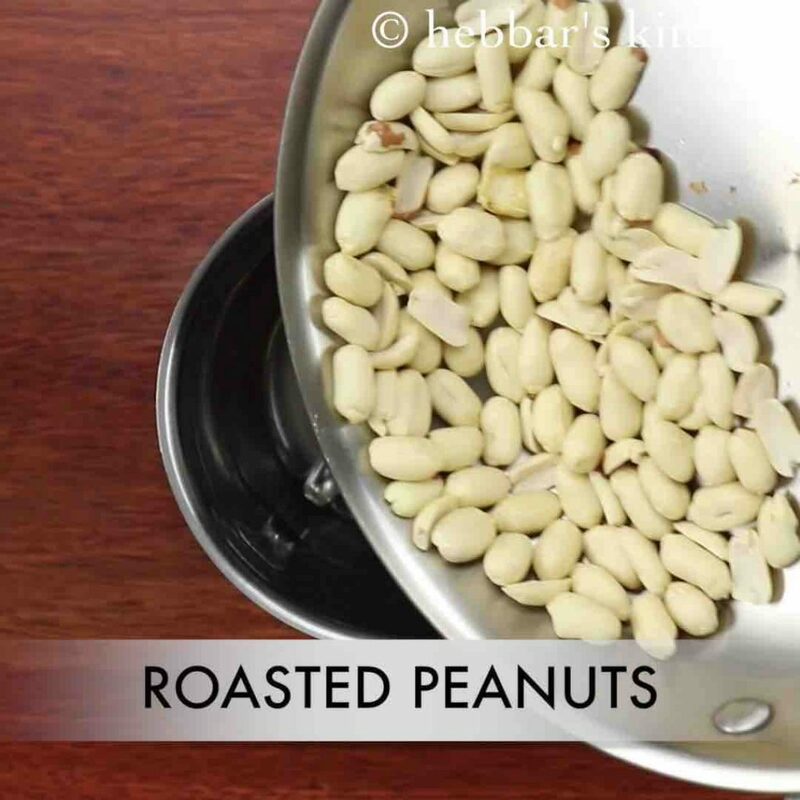 it is typically prepared just with roasted peanuts or groundnuts, however it tastes great with the combination of both. 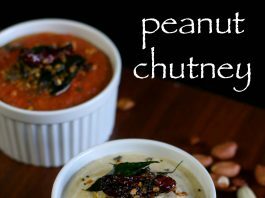 peanut chutney recipe | groundnut chutney recipe | shenga chutney with step by step photo and video recipe. 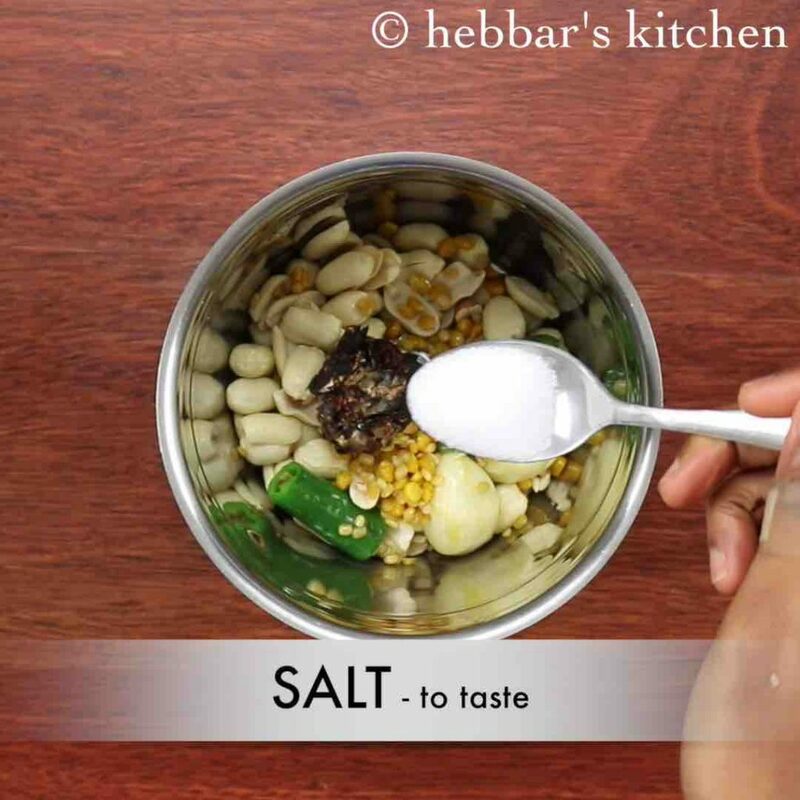 there are several variations to this simple peanut based condiment and varies to region to region. 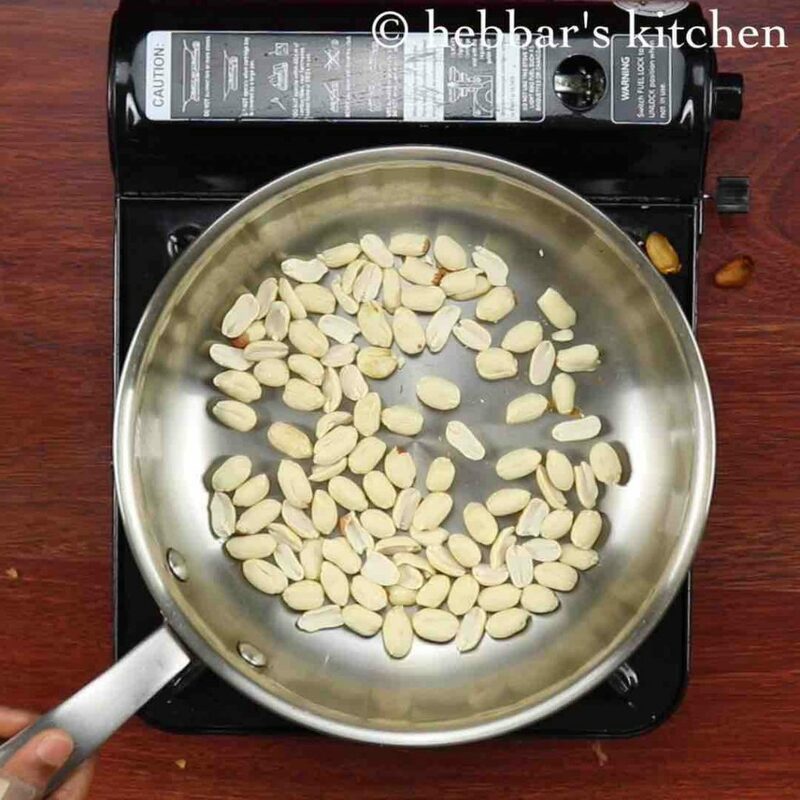 typically peanuts are roasted with less or no oil and then grounded to fine paste with green chillies, garlic and salt. later the grounded chutney is diluted further by adding water and then tempered with mustard and urad dal tadka. as mentioned earlier, there are several ways of preparing the peanut chutney recipe. 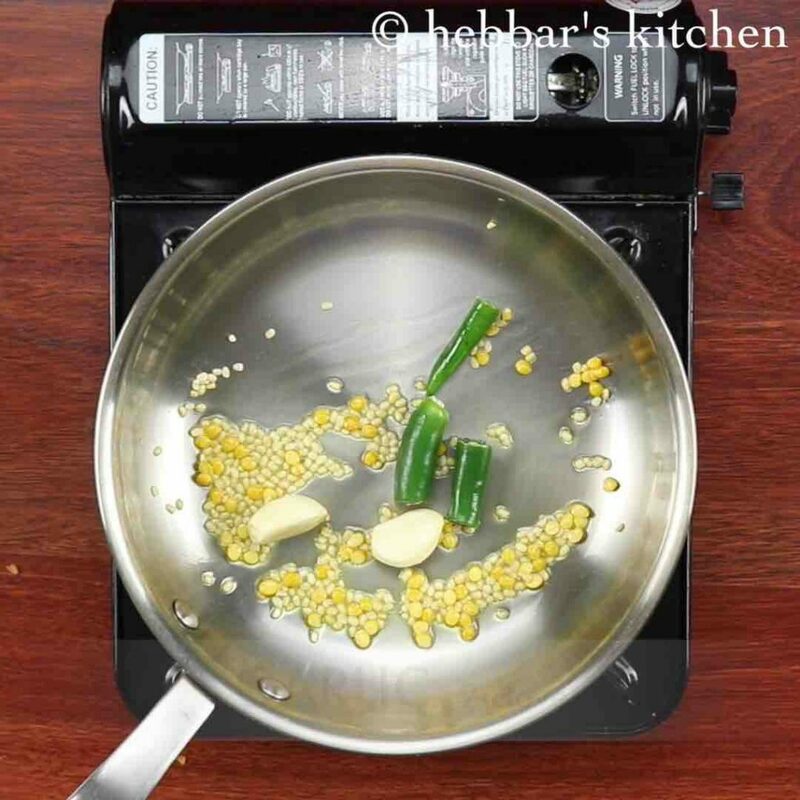 as a matter of fact the variations to this chutney is introduced the way this side dish is used. the coconut mixed with groundnut chutney is ideal when served with idli, dosa or even with pongal recipe. however the plain peanut based chutney is ideal side dish for snack like pakoda, vada or even for upma recipe. i personally prefer the later version without any coconut added to this chutney recipe. furthermore some important tips and suggestions for a perfect peanut chutney recipe. firstly, i roasted the raw peanuts with no oil or till it starts shedding its skin. 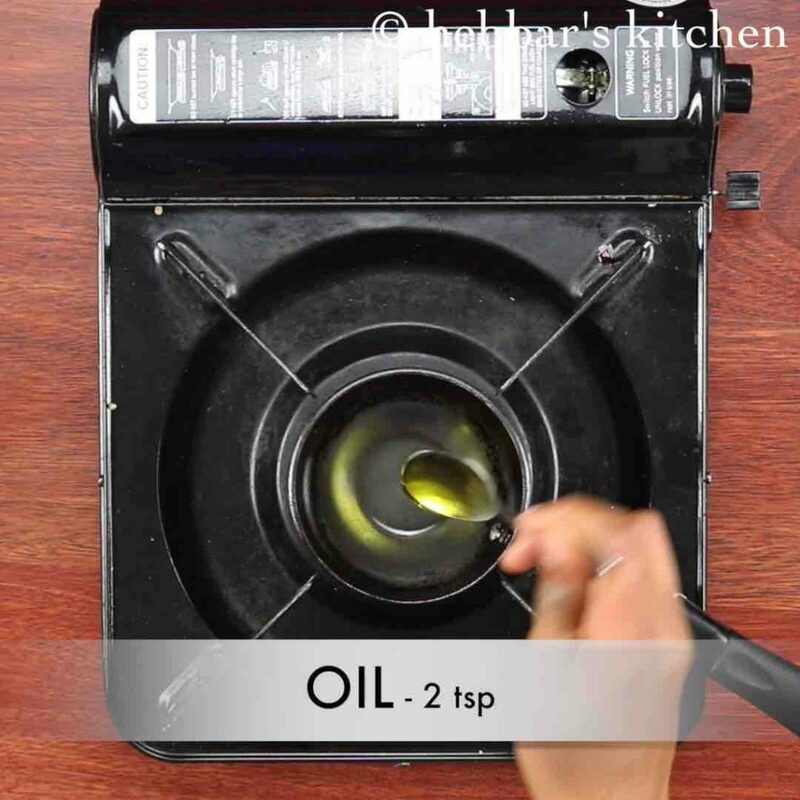 alternatively you can also fry the peanuts with a tsp of oil. secondly, i have added tamarind for a balance of spicy and sour taste. however adding tamarind is completely optional and can be easily skipped. finally, dilute the chutney by adding water to a very thin consistency. this is because groundnut chutney consistency turns thick once it left for few hours. 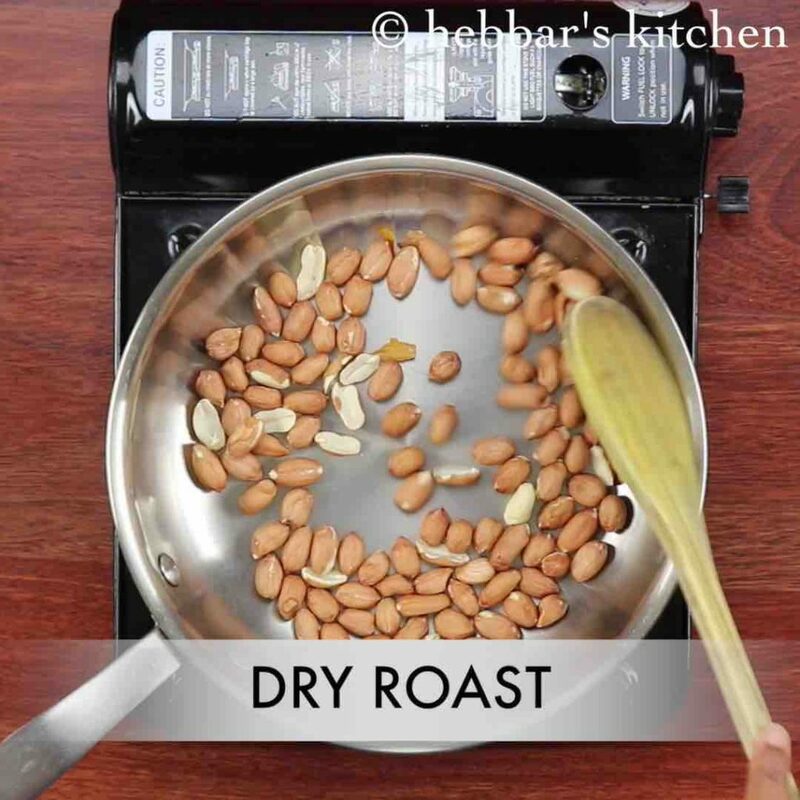 firstly, dry roast ¾ cup peanut on medium flame. roast till the peanuts start to separate the skin. allow to cool down and remove the skin completely. transfer the peanuts to the blender. 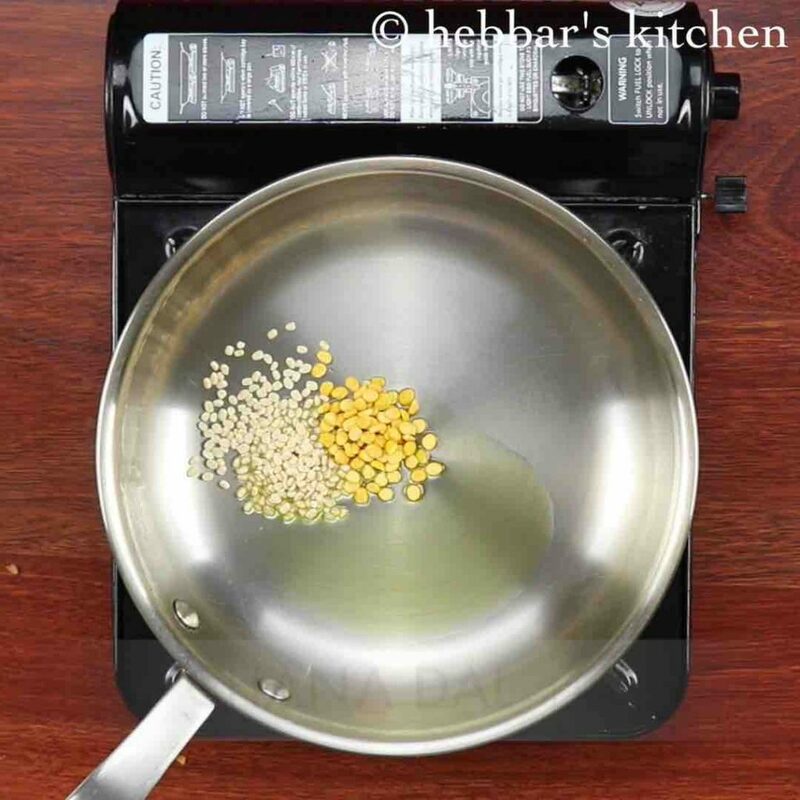 further, add 2 tsp of oil and roast 1 tsp urad dal and 1 tsp chana dal. furthermore, roast 1 green chilli and 2 cloves garlic till the blisters appear. also add in small piece tamarind and salt to taste. blend to smooth consistency adding ½ cup water, or as required. 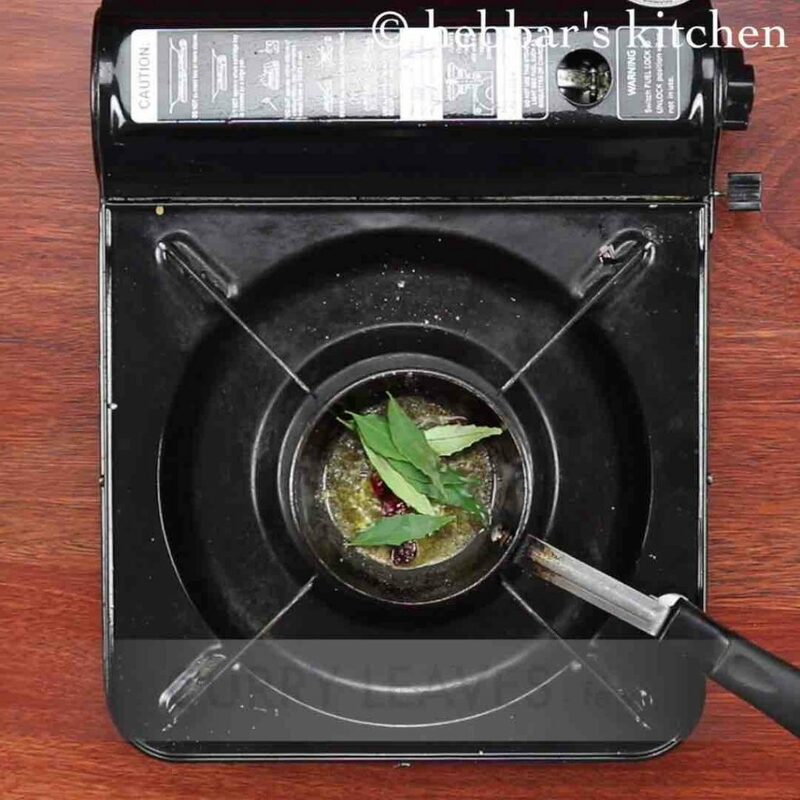 also add in 1 tsp mustard seeds, 1 tsp urad dal, pinch of hing, 1 dried red chilli and few curry leaves. 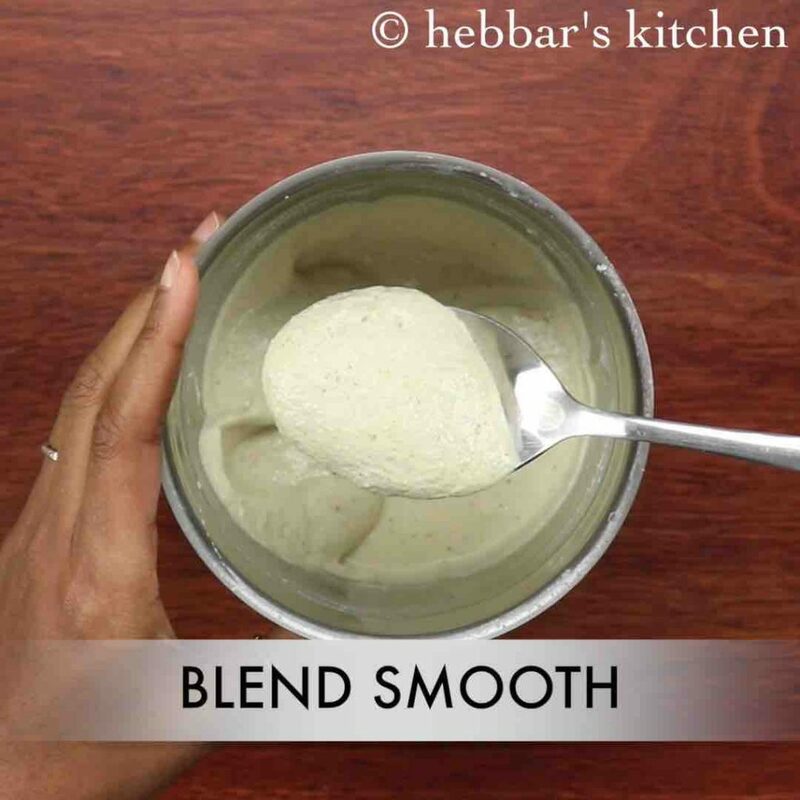 finally, pour the tempering over peanut chutney and serve along with idli or dosa. firstly, roast the peanuts on low to medium flame, else they might burn. 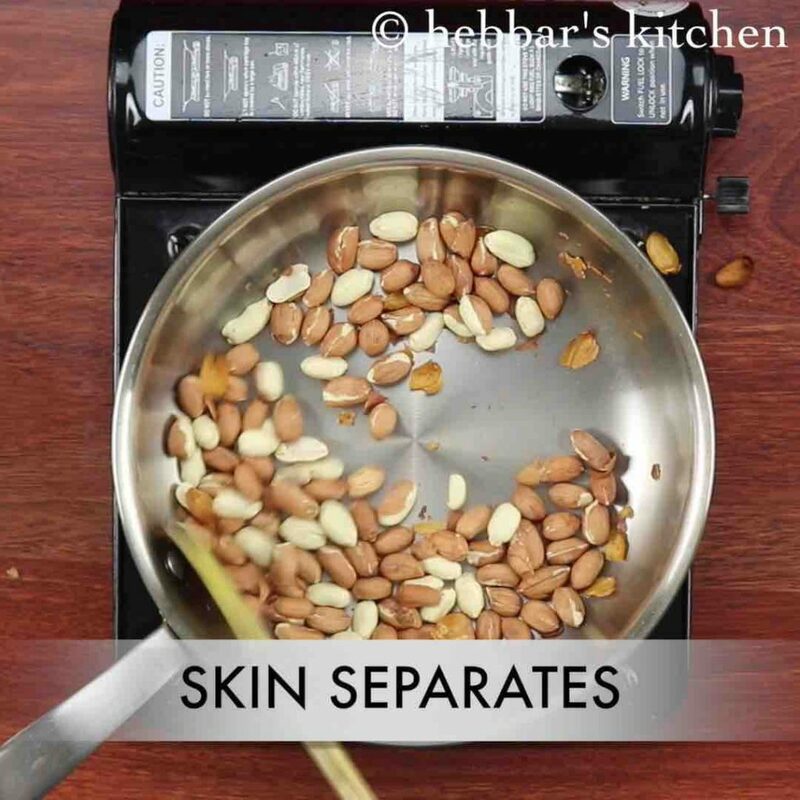 also removing skin of peanuts is optional, you can also blend along with the skin. 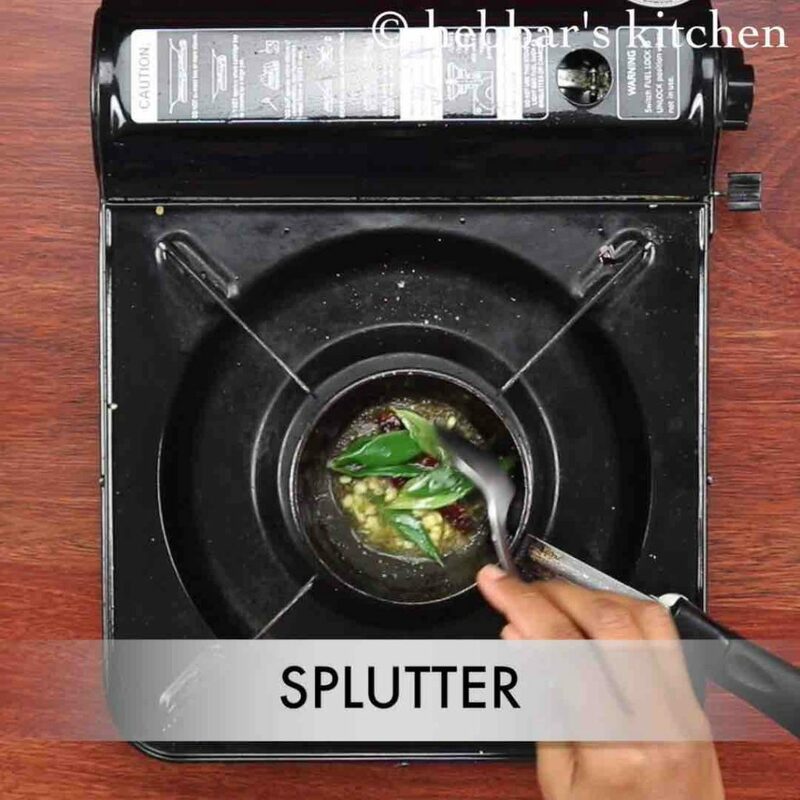 additionally, use red chilli instead of green chilli for different flavour. 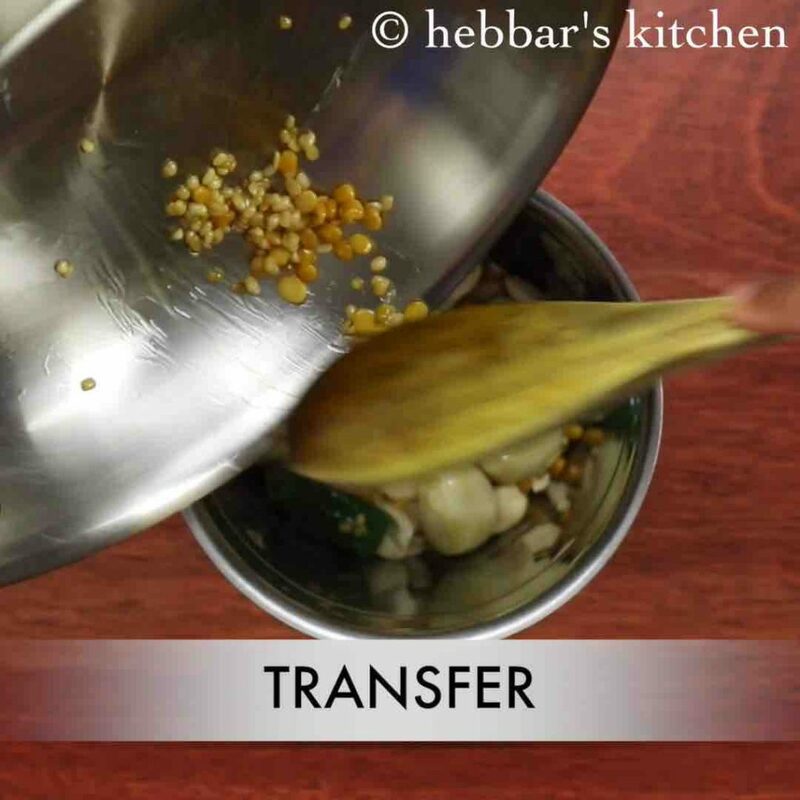 finally, make slightly pouring consistency peanut chutney, to get restaurant texture. I already have roasted peanuts bought from store, so shall I use it directly? Use raw tamarind or soaked one?